Charlotte the 17 largest city in the United States and also the largest city in North Carolina. According to U.S. census estimates, the Charlotte metropolitan statistical area has an estimated population of almost 2.3 million people. Charlotte is located in south/central North Carolina. 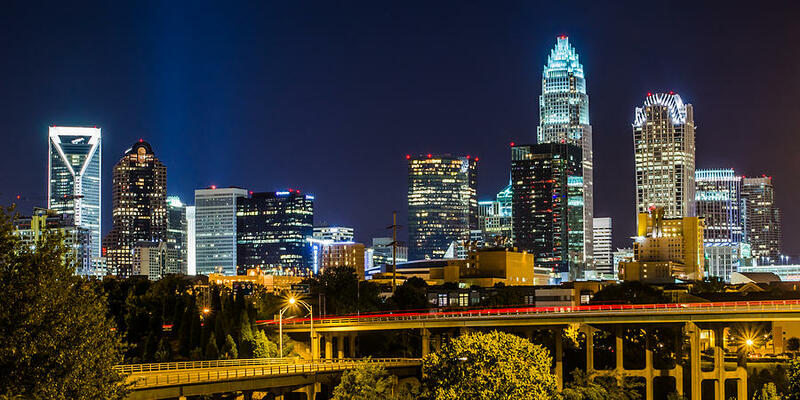 It is home to over 10 Fortune 1000 companies, including household names such as Bank of America, Lowe's, and Wachovia Corp.
Charlotte is also a past winner of the coveted "All-America City Award" awarded by the National Civic League. Charlotte has a humid sub-tropical climate that is characterized by mild winters and hot, humid summers. The coldest month of the year is January with an average daily temperature of 51 degrees Fahrenheit. July is the hottest month of the year with an average daily temperature of 90 degrees Fahrenheit. Charlotte has a great atmosphere for the night owl especially in Center City with many new clubs and bars to choose from ranging from country themed establishments to martini bars and everything in between. If you're interested in Charlotte, please email your resum� with an introductory letter to to Dayna Lynn at dlynn@fsgltd.com or fill out the form below.